Brokers may view RBC’s newly-minted mortgage incentive program – that offers realtors a bonus for referring first-time home buyers -- as a sign that the broker channel has the bank worried about market share. “I think they’re just fighting back because we’ve taken a big chunk of their portfolio,” Harold Grant of Dominion Lending Centres Ridgeway Group told MortgageBrokerNews.ca. “They don’t support the broker channel and I don’t think it’s a bad thing because they’re feeling the need to fight back. 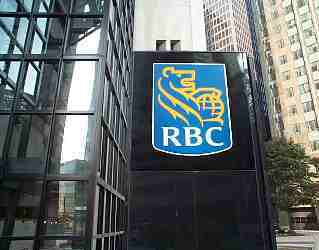 Canada’s biggest bank – and the country’s largest mortgage lender -- is now offering real estate agents $1,000 for every five first-time homebuyer referred to an RBC specialist. It’s a segment that has become increasingly competitive following several rule changes that have made it more difficult for first-time buyers to break into the market. The program is set to run from May 1 until September 30 and is part of a comprehensive rewards program. Real estate agents can also collect points for referrals that can be redeemed for plane tickets, gift cards and merchandise, according to the Globe and Mail. The bank requires realtor participants to sign an agreement stating they will disclose the details of the promotion to clients. RBC isn’t the first bank to offer a referral bonus to realtors who drive mortgage business through the door. National Bank offered a similar incentive to realtors in 2011 by offering 50-basis point referral fee for sending mortgage seeking clients to a branch. other lenders have paid realtors but I believe this is the first time its for "First Time Home Buyers" only. No coincidence that this demographic is the highest percentage of clients using mortgage brokers. I've had several clients come to me recently, after having been to RBC. It's taking RBC 3 weeks to turn around a preapproval. $1000 isn't much good to an agent if the financing never gets done. TD Canada Trust has been giving referral fees to Minto sales people for years.When you accept a referral fee you are putting your ethics into question. Are you recommending someone because they will provide a good service to your client or are you recommending then for the referral fee. Would you recommend that person, if you did not receive a referral fee. In the securities industry, such practices are forbidden. It is forbidden for Mortgage Broker’s to give referral fees to unlicensed individuals. Employees at banks do not have to have a licence to sell mortgages, so there is no regulatory body to put into question the ethics of referral fees. It is time to stop such practices. In the service industry reputation and ethics is of most importance.